Fort Healthcare Hurstville was our first clinic which opened in 2013. In 2015 we moved to our current location and for the benefit of our patients have developed Fort Healthcare Training Centre. It is situated in Hustville CBD, close to Hurstville Westfields, Hoyts cinema, restaurants and parking. It’s only 5 minutes walk from the train station. Call to enquire or place an online booking at the bottom of this page. Fort Healthcare staff will be in touch. 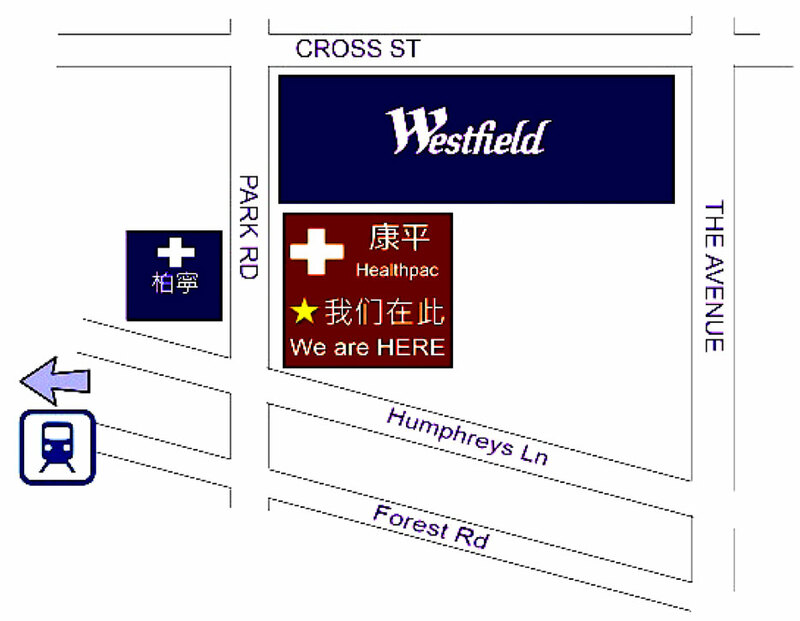 We are located in the Hurstville CBD just a few minutes walk away from the station below HealthPac Medical Center. From the station, turn right and follow Forest Rd. Turn left on Park Rd and enter Building 1 before Westfields. Our clinic is located opposite the elevator. We have free 3 hour parking directly underneath our building or alternatively there is ample parking in the adjacent Westfields. The nearest exit from Westfield is via the Aldi exit. The entrance to our underground parking is via The Avenue. The driveway is between the 24/7 gym and the Hoyts entrance into Westfields. Make sure to take the Building 1 lift. Cash, EFTPOS, HICAPS, Medicare, Workcover and CTP approved.